Vikna Rajah is recognised as a leading lawyer in both Tax and Trust & Private Client practices. He, who also has a degree in accountancy, is praised in the legal directories as being an “experienced litigator” with “extensive tax knowledge”, who is “an extremely intelligent man” and is “excellent to work with”. He also combines “very deep technical expertise with acute commercial acumen”, while “carefully listening to his clients and putting himself in their shoes”. Vikna has recently been recognised as “Highly Regarded” in the “tax controversy” practice area by World Tax 2019. He led the Tax Practice to clinch Singapore’s Tax Disputes and Litigation Firm of the Year by the International Tax Review 2017 and he is ranked ‘Leading Individual’ in tax by The Legal 500 Asia Pacific 2019 and a leading tax lawyer by Chambers Asia Pacific 2019. Aside from being recognised by the Singapore Business Review 2015 as one of Singapore’s Top 40 most influential lawyers aged 40 and under, Vikna was also one of Prestige Singapore’s 40 Under 40 (2017), being heralded as one of the “movers and shakers and the dream makers to watch”. Vikna has been named as one of the world’s Leading Experts in Private Client Practice by Who’s Who Legal since 2017. He won “Private Client Lawyer of the Year” at The Asia Legal Awards 2017 and is recognised as one of the world’s Top 250 Private Client Lawyers by Legal Week’s Private Client Global Elite 2018. Vikna has recently been selected by his peers for inclusion in The Best Lawyers in Singapore (2020) for Trusts and Estates. He is also ranked as a Leading Individual for Private Wealth by both The Legal 500 Asia Pacific 2019 and the Chambers High Net Worth Guide 2018. The Private Wealth Practice which he leads is also ranked Tier 1 by The Legal 500 Asia Pacific 2019. 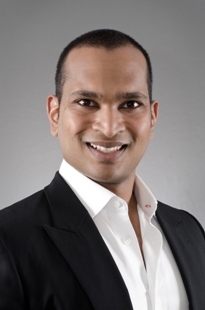 Prior to joining Rajah & Tann, Vikna was Senior Legal Specialist with the Inland Revenue Authority of Singapore (“IRAS”) where he advised the authority on all areas of tax law, primarily in relation to complex, controversial or novel points of law. In addition, he was gazetted as a prosecutor where he obtained successful convictions for income tax, GST and stamp duty evasion. Vikna has appeared as lead counsel at all levels of the Singapore Courts, including the Court of Appeal. Vikna, advises clients on complex income tax, GST, stamp duty, property tax and tax treaty issues, specialising in contentious civil disputes with IRAS, tax structuring and criminal tax litigation. In the context of civil tax litigation, he has a track record of successfully and effectively resolving multi-million dollar disputes with IRAS and is regularly instructed by multi-national companies, other top-tier law firms, magic circle firms and Big 4 accounting firms. He is known for his expertise in advising clients on Singapore’s general anti-avoidance provision found in section 33 ITA. Vikna is acclaimed as a leading Trust & Private Wealth lawyer. He is regularly engaged to advise leading trust companies and ultra-high net worth families to create multi-generational trusts that best address their succession planning needs, ensuring smooth transition of management and ownership of operating companies to preserve their value. He is recognised as the go-to lawyer for novel, complicated cross-border estate planning and structuring that often incudes private trust companies as well as exotic assets such as high value art pieces, and whisky, wine and pen collections. Clients value his expertise in tax especially when establishing complicated trust structures that hold residential properties which give rise to complex stamp duty issues. He also advises banks, trust companies and service providers on their fiduciary, regulatory and reporting obligations. Vikna acts as lead counsel for arbitrations which revolve around specialised valuation, accounting and tax issues to leverage on his unique accountancy and tax expertise. Successfully acted for a shipping firm to obtain a tax exemption for approximately S$75 million of mobilisation fees derived from a Singapore flag rig, which were initially disallowed by IRAS. Successfully acted for a multi-national construction company to obtain a tax refund of over S$3 million in relation to expenses of over S$20 million which were initially disallowed by IRAS. Successfully acted for an educational institution to claim almost S$4 million in input tax which was initially disallowed by IRAS. Successfully acted for a family holding company to obtain a refund of S$1.5 million in tax after IRAS accepted revised accounts which included a reversal of over S$7 million in interest income. Successfully acting for two distinct clients (including one Fortune 100 company) in relation to deductions in relation to employee stock options schemes under section 14P ITA resulting in an aggregate tax savings of S$1 million. Successfully acted for an ultra-high net worth individual for gains from the sale of investment properties to be treated as capital in nature. Lead counsel for the Comptroller of Income Tax in a landmark case on the exchange of information between the Governments of the Republic of Singapore and Japan. Represented the Comptroller of Income Tax in a landmark case on taxability of gains made from the sale of long-term investments by an insurance company. Lead counsel for the Comptroller of Goods and Services Tax (“GST”) in a landmark case regarding the registration of persons carrying on a business in partnership under the GST Act. Acted for the accused in a case involving fraudulent GST evasion by under-declaration of the value of imported good, where the Courts imposed a fine of five times the value of the tax evaded, half the amount the Customs Prosecutor was seeking. Acted for the accused in relation to charges under section 37J ITA for providing false information without reasonable excuse to obtain a Productivity and Innovation Credit (“PIC”) cash payout. Acted for the accused in a case involving under-declaration of the value of imported good. Succeeded in reducing the charge to one of negligence under section 128B of the Customs Act and persuaded the court to allow for release of the goods imported. Secured a conviction against the taxpayer for committing three counts of tax evasion, resulting in six months’ imprisonment and a penalty of over $560,000. Successfully prosecuted the company, which was in the business of developing electronic queue systems, for committing two counts of serious fraudulent tax evasion, resulting in penalties and fines amounting to over $785,000. Secured a conviction against a remisier for committing two offences of tax evasion resulting in one week imprisonment per charge and over $190,000 in penalties. Secured a conviction against a property agent for three charges of using counterfeit stamp duty certificates, resulting in two weeks’ imprisonment. Led the sale of Heritage Trust Group, one of Asia’s leading trust companies, to Equiom Group (South East Asia) Pte Ltd.
Main advisor for numerous leading trustee companies on tax and trust issues. Establishing multiple succession planning trusts for various ultra-high net worth individuals, each with assets ranging from S$800 million to over S$1 billion. Establishing a succession planning trust for one of the most prominent Asian families with three generations situated across the globe and over S$1 billion in assets. Advised one of the world’s leading trust companies in a cross-border multi-million dollar dispute concerning disbursements from a trust tainted with allegations of fraud and dishonesty on part of one of the beneficiaries. The matter also required us to advise on the disclosure obligations under Singapore law on the part of the trustee as a result of US tax law. Advised on the consolidation of an ultra-high net worth family’s charitable trusts. Advised on the setting up of a charitable society on the giving of qurdan hasana under Syariah law, the first such charity in Singapore. Instructed by a leading UK solicitor firm as lead counsel for the Defendant in a SIAC Arbitration involving the sale of shares in a shipping company revolving around valuation and accounting issues. Acted in a multi-million dollar arbitration between joint venture partners over the sale and implementation of energy management systems to a State Electricity Board in India governed by International Chamber of Commerce Rules of Arbitration involving allegations of fraud, misrepresentation, misuse or conversion of intellectual property and loss of opportunity. Singapore Branch Reporter for the 2018 International Fiscal Association (“IFA”) Cahiers de Droit Fiscal International on the topic: ‘Anti-avoidance Measures of General Nature and Scope – GAAR and other Rules’. Author for the Anti-Avoidance chapters of Lexis® Practical Guidance (Tax). Author for the Singapore Chapter on Corporate Tax for the International Comparative Legal Guide. Author for the Singapore Chapter of Planning and Administration of Offshore and Onshore Trusts. Speaker at Harvard Law School’s ‘Exchange of Information Among Tax Authorities: Strengthening the Rule of Law in Asia’ as part of the East Asian Legal Studies Speakers series, which have included the Vice-President of Taiwan and the Solicitor-General of the Philippines.